Ships Monday, April 22 if ordered in the next 2 days, 11 hours and 8 minutes! 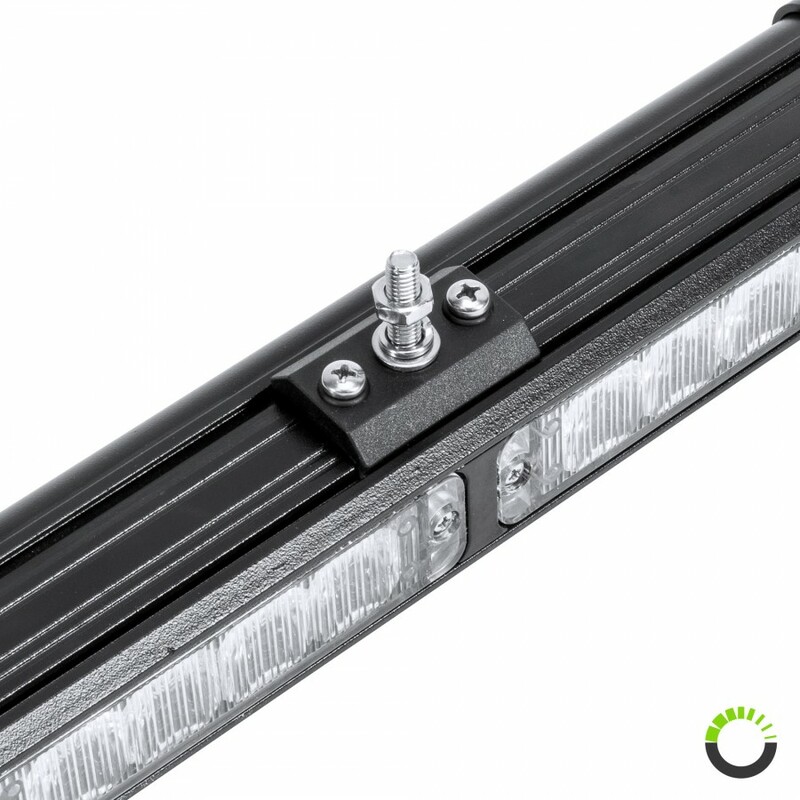 LED emergency light bars not only have to be bright and visible under daylight, it is also best for the equipment to have versatile function and mounting options. The LAMPHUS® SolarBlast™ SBLS64 24W directional light bar with controller is equipped with high intensity LEDs, offers 48 selectable flash patterns, can be mounted both permanently with fasteners and temporarily via suction cups, and comes with an intuitive controller. 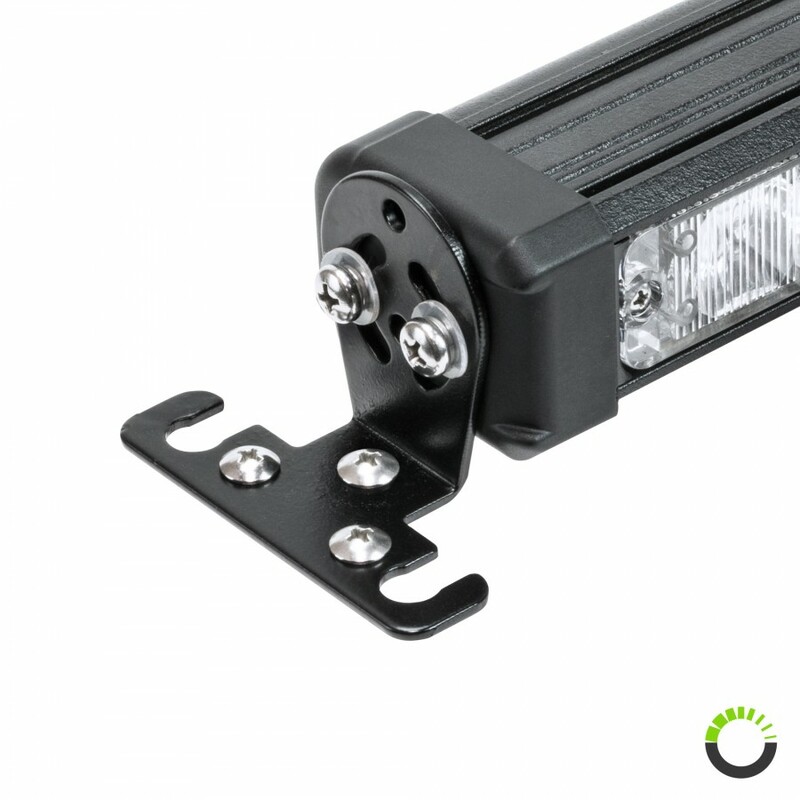 The included L-shaped brackets can be utilized to mount the traffic advisor light bar against horizontal, vertical, or slanted surfaces and windows. 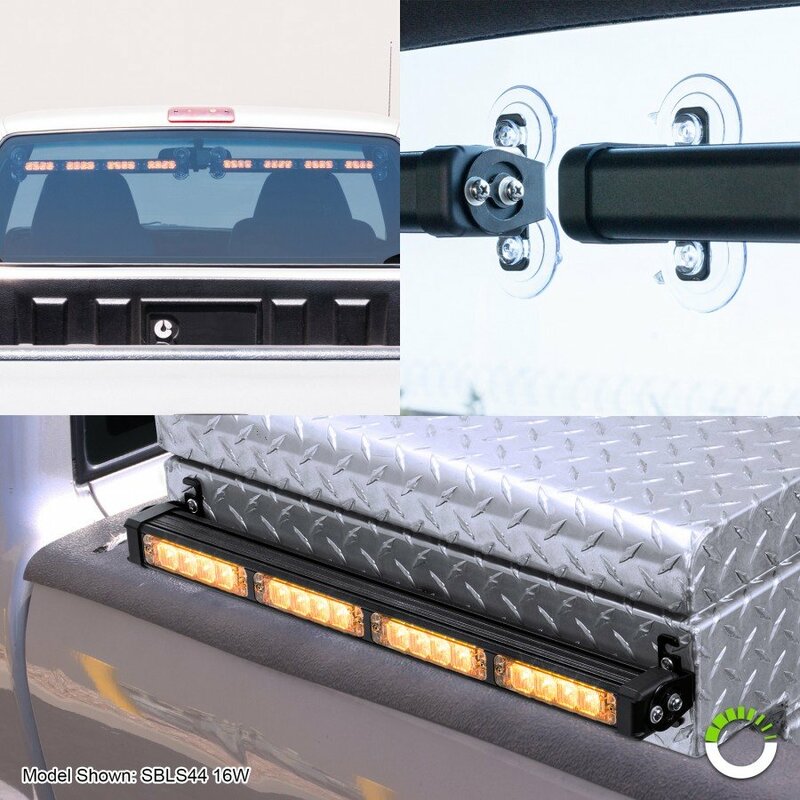 Available in various colors and its combinations thereof, the SBLS traffic advising directional light bars are the perfect choice of visual warning lights for police, firefighter, volunteers, and other professionals alike. 24 high intensity LED with optic lenses. 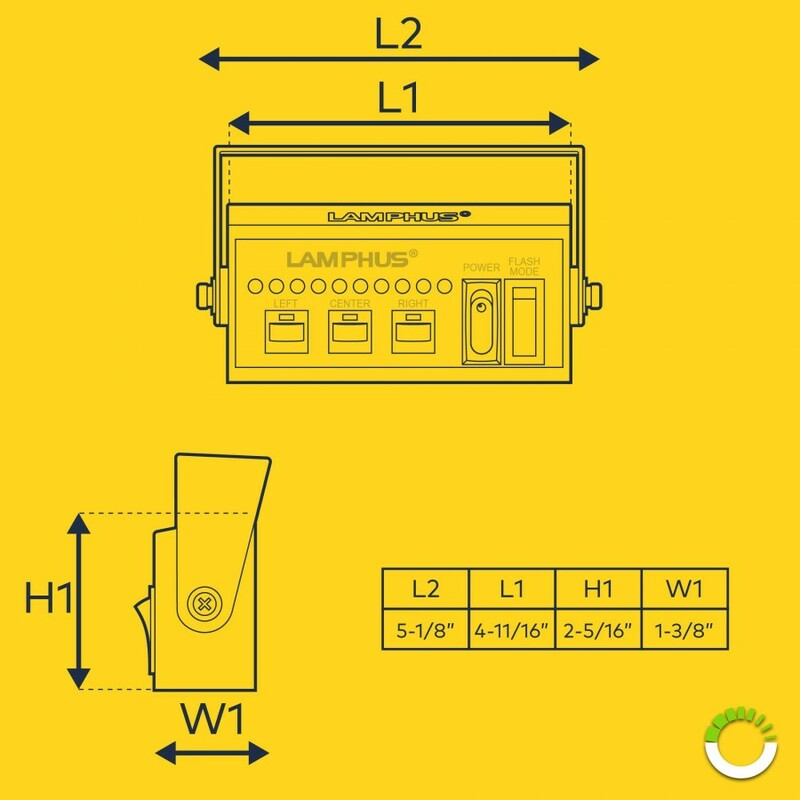 SolarBlast 38" Deck Light + Traffic Advisor Controller"
I have a 3 + year old, 24" very bright surface mount light on my truck's back/bed rack, but, I also wanted a rear glass secondary unit. 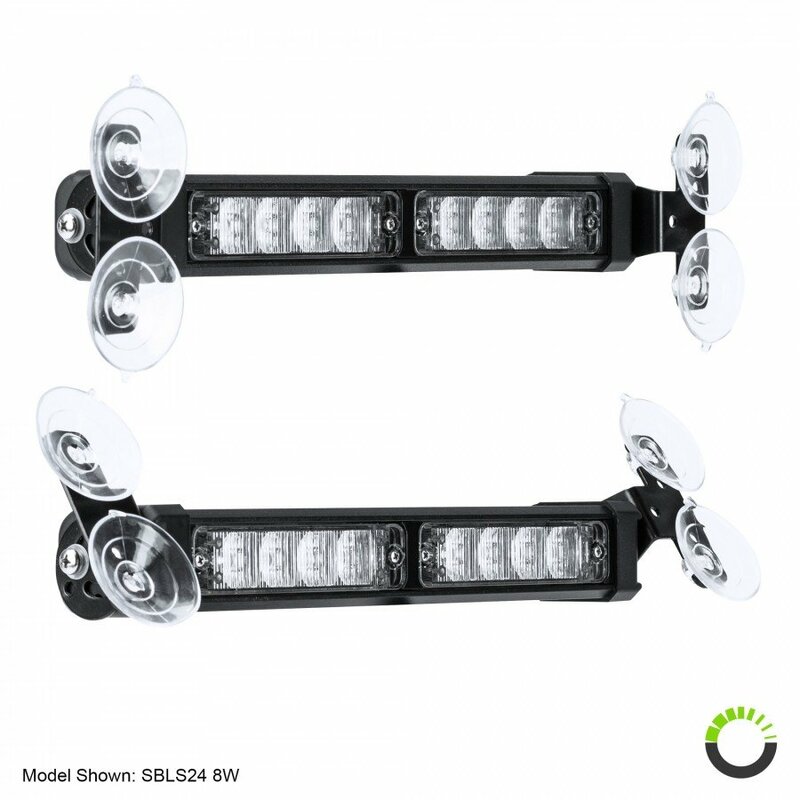 This 38" unit is a perfect match with the exact same brightness (which is VERY bright and VERY visible). I am extremely happy with the finish, construction, and swap-out ability of the individual lights (I was able to easily change the half-white/half-amber configuration, to an every-other configuration). 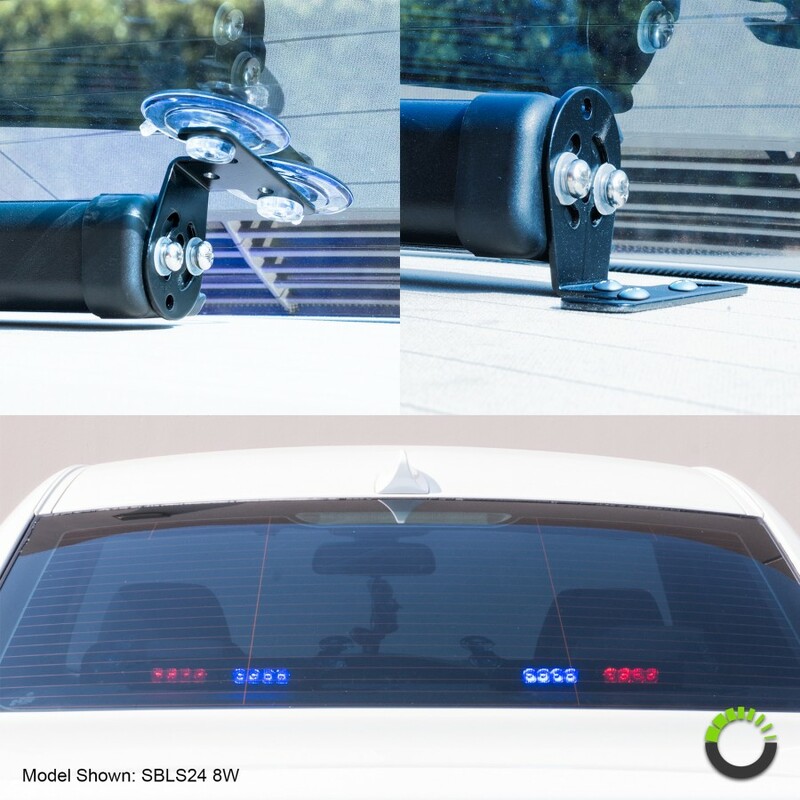 The suction cup mounting is extremely sturdy and VERY secure on the glass window surface. I had originally planned to use 3M dual lock tape for the attachment (plastic-Velcro like tape that is used for surface mounting toll-booth pass transponders), but there is no need for it. Suggestion, clean the surface with alcohol prior to applying the unit suction cup mounts. Also, the remote controller works flawlessly. I created a mount for it to set on, and it is easily reached and can be clearly viewed from its position. I got this bar in amber/blue to replace my old Xprite bar from amazon. Very impressed with the quality compared to the price. Modules were easily swapped around to get the order I wanted (B/A/B/A/A/B/A/B). Highly impressed with the amount of flash patterns. The only downside is that the speed of the directional patterns cannot be changed. Overall very happy that I went with this bar and not a $60 piece of junk. I have installed 2 of the SBLS84 in our fleet and I'm very pleased with the product. The lights are much brighter then the SBTA84 and the controller is much better. I had a few controller's go bad on the SBTA84. This is my sixth light from these guys and this has been my only disappointment. 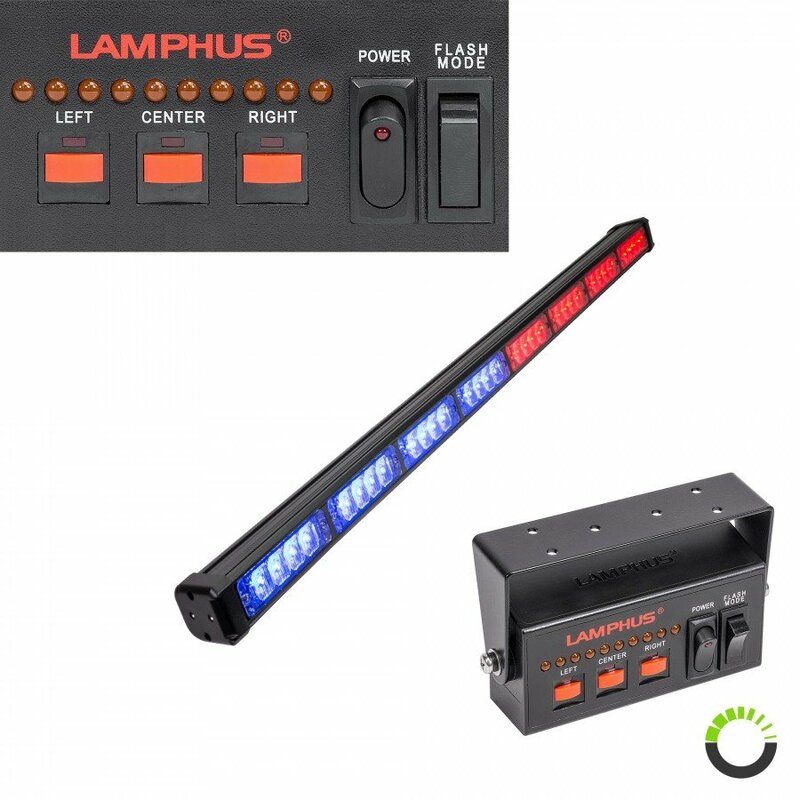 I really wanted the LAMPHUS SolarBlast SBTA84 36" 32W LED Traffic Advisor Directional Light Bar however, It didn't come with the suction cup mounting hardware that this one did. I could tell by the video included with my first choice that traffic advisor was going to be as bright as I would have liked. This one is not. If I had the other advisor I probably wouldn't write this review. I just couldn't mount it without the suction cups, so I ended up with something I didn't really want. 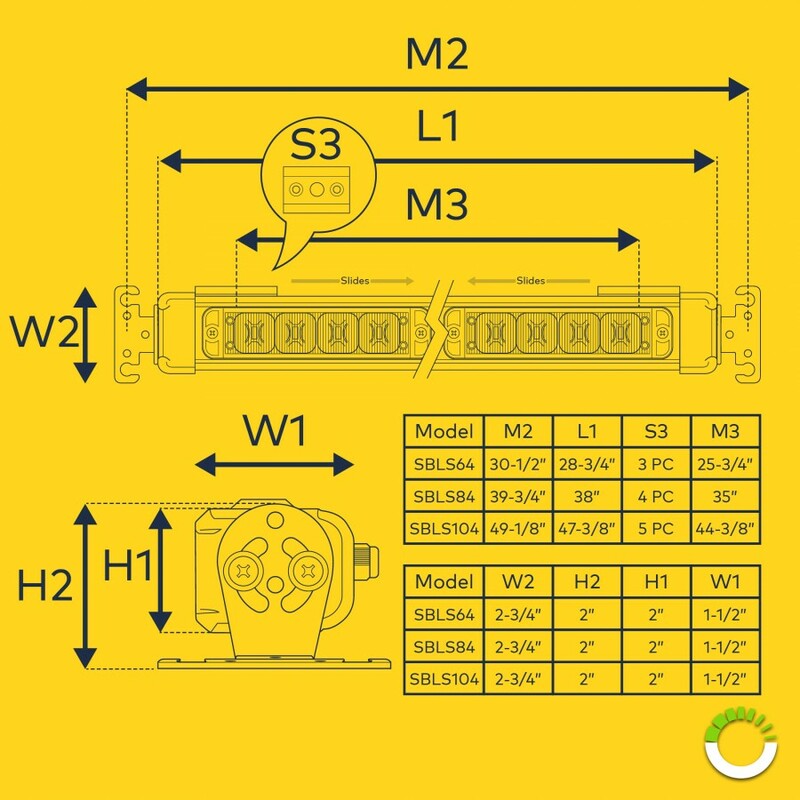 Hi Eric, we're sorry that the light did not meet your expectations, however, the SBLS84 is an improved version of the SBTA84, the brightness is actually brighter and it comes with a better controller. Would you mind giving us a call so we can maybe take a look at what's wrong here? Maybe the light is not getting enough amperage from your power source, or perhaps there's an issue with the light bar itself. Regardless of what it is, give us a call and we can take care of this for you. Thanks! This site has great products and service.